Resolves an issue where HDMI video range setting is missing. Expansion of the built-in memory. You can now move the downloaded games and apps to a USB memory device or HDD as an extended memory. Only for use with TV sold in Hong Kong. Not all models are sold in all countries. 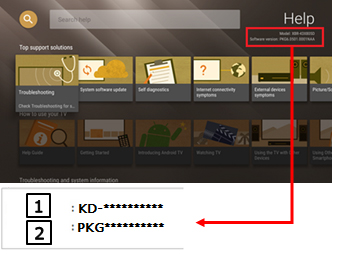 Verify that the size of the "sony_tvupdate_2015_5433_hka_auth.zip" file is "1 513 277 703" bytes. After you extracted the downloaded file, you will find the file "sony_dtv0FA50A09A0A9_00004B00_153900b7.pkg". Copy or drag and drop the file "sony_dtv0FA50A09A0A9_00004B00_153900b7.pkg" to the root directory of your USB device. Insert your USB storage device containing the file "sony_dtv0FA50A09A0A9_00004B00_153900b7.pkg" into a USB port of the TV set.